Our legal team can help you and your family get compensation for future medical bills after a car accident. Some people are able to walk away from a car accident unscathed, while others are permanently disabled for life. With so many variables in car accidents, it is impossible to predict the severity of an injury or how long the recovery time will be. If you were unfortunately disabled in a car accident, our firm can help you secure the funds for the future medical care you may require as a result. Personal injury law allows a car accident victim to pursue compensation for all of their tangible economic losses due to the car crash. This will include your medical bills and loss of wages as you recovered from your injuries. It also recognizes that future medical care may be needed and will allow you to be compensated for that as well. Since there is no absolute evidence of the amount that will be, or way to calculate it, we would have to rely on expert medical testimony to help determine what your future medical needs will be and what they will cost. The need for on-going care after a car accident is very common. Catastrophic crashes can lead to major trauma to a person’s body, including loss of cognitive functions from brain injuries. Spinal injuries and paralysis can also result which will necessitate medical treatment for an undetermined amount of time. If you were disabled in a car crash talk to an experienced car accident attorney in our firm about your future medical needs. They will gather the evidence needed to make sure that compensation for those needs is included in a settlement. Your age, health, and life expectancy will all be taken into consideration when determining the presumed cost of your future medical care. 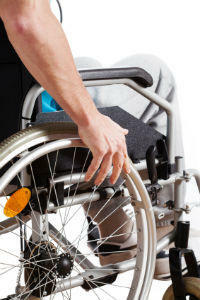 The severity of your disability will also be a factor along with the possible need for around the clock medical care. In addition, our lawyers will look into the cost of pain management, including therapies and medications before fixing an amount to your future medical needs. Every victim of a car accident responds differently to their injuries and treatments. What our team of lawyers does is gather expert medical testimony that shows how your injuries will require long term care. Like the car accident itself, there are too many variables with an injury to assign a set amount for the compensation of each one. The help of an attorney can prove invaluable in making sure that yours are being considered on their own merit, not on what an insurance company believes should be the cost based on other similar cases. Your future may have been affected as a result of the car accident, but that does not mean you should have to suffer from it forever. While a monetary compensation for future medical care won’t heal a debilitating injury it will ensure that you are able to live a more comfortable life and continue to be treated for it. Talk with a representative from our legal team today about your needs for future medical care and what you need to do to get compensated for them.